If it's one thing our team knows, understands, and stands in empathy for - it would be hair loss. Hair loss can be very complicated to understand. It's a complex concoction of reasons a woman can start loosing hair at any given time in their life. It’s time to debunk those hair loss myths and find out the reality to what causes hair loss and thinning and find out if you are really losing your hair! Myth 1: If your hair is thinning, it’s because of your mother’s side of the family. Reality: Actually, scientific research proves that hair thinning can occur from mom or dad’s side of the family. Take a look at your immediate family’s hair. If they are losing their hair, you may likely do the same. Myth 2: Only men suffer from hereditary hair loss. Reality: Ladies, sorry to break it to you but this is false! Women can experience hereditary hair loss just like men. Men tend to lose and thin in concentrated areas, making it more noticeable, but women tend to experience loss and thinning on their entire head. Myth 3: Women lose their hair after pregnancy and during and after menopause. Reality: While that’s definitely an accurate piece of information, women can begin to lose their hair in their 20’s and even earlier in some instances. Myth 4: If you’re stressed, your hair will permanently fall out. Reality: During stressful times, hair may fall out but in most cases it should grow back. Myth 5: If you’re losing hair, you are experiencing hereditary hair loss. Reality: Did you know that 100+ hairs can fall out daily throughout the hair’s natural “resting” (non-growing) phase? If you’re losing hair constantly and it’s not growing back, then you could be onto something. Myth 6: Shampooing frequently will make your hair fall out. Reality: Since shampooing removes residues and build-up, hair will actually look fuller. It does not actually cause hair loss. Myth 7: Chemicals, from coloring your hair, will permanently damage hair and cause loss. Reality: While chemicals can weaken hair and cause breakage, unless the hair follicle has been damaged by chemical treatment, which rarely happens, loss is temporary. Hopefully you’ve learned a fact or two from these hair loss myths and can help educate others as well. It’s never too late to learn how you can prevent or find the right solution for hair loss. If you would like to learn more about the right solution for your individual hair loss please email (kassie@kasiaorganicsalon.com) or call me (612.824.7611) to set up a private and personal consultation. You can also learn more about our multi-therapy solutions HERE! Learn about the COMMON causes of hair loss HERE! Enzyme Developer: Upgrade your hair color from hydrogen peroxide! Your hair color just got upgraded. Nature’s solution to harsh peroxide-based color services of yester - year. We’ve cut bait. Our team now combines our incredible Zero Ammonia/PPD/Recorcinal and MEA color with Enzyme developers, rather than Hydrogen Peroxide due to the potential damaging effects for vulnerable hair and scalp health. Hair color is made up of two components: color and developer. The developer contains hydrogen peroxide and ammonia to modify the molecular structure of the hair shaft, allowing large color molecules to penetrate while phenylenediamine (PPD) allows the color to bond with the hair. It is now known that some permanent hair dyes may also contain coal tar, a potentially detrimental petrochemical, and toxic metals such as lead or mercury as developers. Researchers at The University of California discovered that individuals coloring their hair with permanent dyes once a month for a year or more have twice the risk of developing bladder cancer. Hairdressers or barbers in contact with hair dyes had five times the risk. We are against fear mongering, but we fully are dedicated to knowledge and better choices. What’s Next: Our New Love! We’ve seen incredible results with our recent switch. Enzyme developers are naturally formed proteins that neutralize the hair and leave it in superior condition. Continued use of this product, combined with our naturally zero ammonia color and home care products, will restore your hair to its original shine and luster. You probably have a lot of questions: What is it? What does it do? Well, up until now, your traditional developer used hydrogen peroxide. Hydrogen peroxide swells the cuticles of the hair until it bursts leaving visible and unwanted hair damage. 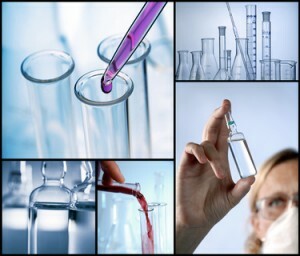 Enzyme developer can do everything peroxide developers can do, plus more! Color will be brighter and rich to it’s true tone. NO OXIDATION = NO FADING! Why doesn’t every salon divorce hydrogen peroxide? It’s all about the money, honey! Our ethos is to keep you and your follicles healthy. That’s how we get real results. Yes, this does raise our overall costs for color a smidge, but aligned with our mission and big picture view of health and beauty - it’s worth it! We hope you see it this way, too. All color pricing will increase by $3. Please speak with your stylist with any questions or concerns. If you prefer to use hydrogen peroxide, please let your stylist know and we will revert back to old systems for your needs. Many of our guests (salon family) are fast paced - multitasking -super women! Naturally, this brings on excess stress, fatigue and hormonal challenges over a period of time. Common first experiences of hair loss is after giving birth. Years later women reach menopause or other hormonal imbalances, and all not uncommon for women to start losing hair. And while hair loss is a normal process - it’s also something that can be remedied by addressing underlying health and hormonal problems. I appreciate the recent post shared by Dr. Sara Gottfried MD. You may know of her most recent book "The Hormone Cure." Sara understands the fundamentals of functional medicine and how it relates to women's health and hormones - inside out. Enjoy the quick read and thank you, Sara! low-carbohydrate diet with lots of veggies will improve insulin resistance that may be contributing to hair loss. Unfortunately, there’s no magic solution, pill or product that will correct hair loss entirely. But if you think of your hormones as a cast of characters, knowing which ones are leading the show and which ones are only playing a supporting role can help you get to the bottom of the issue. Manage your stress levels and get enough sleep. 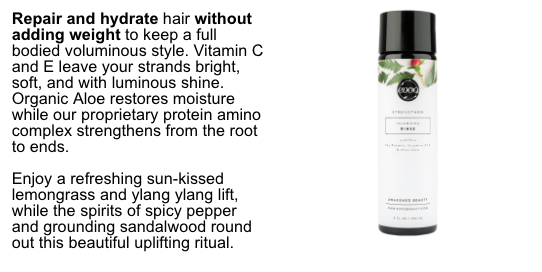 This will help with general hormone balance and can protect your precious locks from any further damage. Has a recent pregnancy and/or giving birth wreaked havoc on your hair? Has a recent pregnancy and/or giving birth that wreaks such havoc on hair? Here are a couple leading reasons why, followed with some tips for newly pregnant mama's and current busy mama's alike!! Is your hair shine-LESS after having a baby? Most women find their hair looks thicker and shinier during pregnancy but hormonal changes come "full-on" after having a baby. The three phases of hair; growth, resting and shedding. their pregnancy goes on. Usually, losing your hair after birth is just your hair going back to normal. This is variable for all women. Some determining factors may be nutrition, stress, weight gain-sudden loss, etc. Most believe the sebaceous glands are vastly producing oil during pregnancy, but the opposite can also occur; the hormones can reduce the amount of oil your sebaceous glands produce. Hormones should return to normal, and the dry fly-aways should subside. In the meantime, use Kasia Off the Fritz and Outshine Serum to build moisture back into the hair, protect and to create a finished look. Even the finest hair can benefit from a our Outshine Hair Serum. Good nutrition for recovery is key. Of course nutrition is the foundation to all of the series of nuances mentioned in this article! One are women often fall short of is high quality protein in it's completest form......MEAT! Organic chicken and turkey are a great source. Stay away from fish due to the metal's probability they carry. Hair needs protein! How can I give thin hair more "oomph"? Hydra-Boost Volume and Texturizing Spray to create body and texture! I'm a new mom, should I dye my hair? Each day we shed around a hundred hairs. This is normal and part of the natural renewal process. With around 100,000 active hair follicles, losing such a small number daily doesn’t present any visible changes in hair density or coverage. However, advanced hair thinning and hair loss affects millions of people throughout the UK. Although often associated with older men, hair loss and hair thinning can occur at any age and impact both men and women. As we age, our hair density naturally declines. However, there are also a wide range of factors that can trigger accelerated hair thinning. Approximately 95% of accelerated hair loss cases in both men and women are caused by androgenic alopecia. A genetic predisposition to hair loss can trigger a group of hormones called androgens which cause hair follicles to shrink and thus unable to support hair growth. The pattern of hair thinning often differs for men and women. Men typically develop bald patches around the forehead or on top of the scalp, while women find that their hair significantly thins across the top of the scalp. By the time men and women reach 50 years of age, 50 percent will have visible hair loss as a result of androgenic alopecia. Sometimes hair loss and hair thinning is an indicator of an underlying health issue. Certain diseases, such as thyroid dysfunction and anaemia, can trigger hair loss. Even a short-term illness can result in hair thinning, such as a high fever, flu and untreated ringworm infections. Significant hair thinning and patchiness can also occur as a result of an unusual impulsive disorder called trichotillomania. Patients with this medical condition are unable to stop pulling and twisting their hair. Women are most susceptible to this disorder and it’s believed to affect around four percent of the population1. Following childbirth and during menopause, it’s not unusual for women to experience excessive hair loss. Fluctuations in hormones will trigger hair thinning. In most cases this is temporary, although after 40 years of age it isn’t unusual for women to have lower hair density compared with when they were younger. Physical and emotional stress can trigger hair loss. Following surgical procedures it’s not unusual to experience hair loss as the body responds to the shock. The loss of a loved one, financial strain, relationship breakdowns and other stressful situations can also cause excessive hair thinning. Similar to hormonal changes, stress related hair loss is often temporary. There are a wide range of medications that can cause hair thinning including birth control pills, anabolic steroids, blood thinners and excessive concentration of vitamin A. Hair loss can also be a side effect of various prescribed drugs used to treat depression, blood pressure, heart problems, cancer and arthritis. Poor nutrition and unhealthy lifestyle choice can contribute to hair loss. Also, certain hairstyles, frequent heat treatments, colour applications and other hair maintenance practices can result in damage to the hair shaft and root, resulting in hair thinning. Preventative treatments for hair loss are based on our understanding of hair anatomy and how to stimulate new hair growth. Hair is characterised by a root embedding into the epidermis and the shaft extending from the root. A follicle surrounds the root and this is intercepted by nerve fibres and capillaries that provide nourishment. 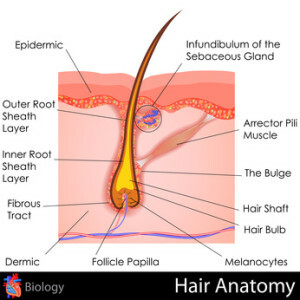 The hair shaft develops as new cells form around the follicle, push up and die. There are three distinctive layers within a hair shaft; these are the medulla, cortex and cuticle. The innermost layer is medulla and its purpose is not well understood. The middle layer is the cortex and this controls the strength and thickness of the hair. The outer layer is the transparent cuticle, designed to protect the other layers of the hair shaft. 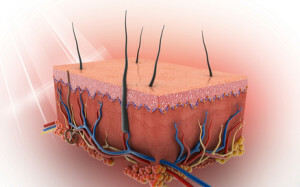 Structural proteins called keratin makeup the bulk of the hair shaft. This is the same protein that’s present in our skin and nails. It’s fibrous and aligns parallel to form sheet that are held together by hydrogen. Also present in hair is another structural protein called collagen which is important for hair health, strength and growth. The growth cycle of hair goes through three different phases. Anagen is the first phase and this is the most active, lasting from between two and six years. Catagen is the second phase and this is when hair is turned in keratin. Telogen is the final stage of the cycle. This is when the hair sheds and the anagen phase recommences. 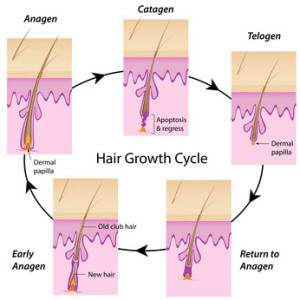 When the follicles fail to re-enter the anagen phase, hair loss occurs. This leaves the follicles inactive and over time this leads to thinning and noticeable hair loss. Clearly healthy hair requires plenty of keratin, and to a lesser extent, collagen. For the body to produce these structural proteins it must have sufficient access to certain amino acids. There are four key amino acids necessary to produce keratin: cysteine, lysine, arginine and methionine. Collagen production relies on access to the amino acids lysine, methionine, glycine and proline. Of these amino acids, methionine and lysine are classed as essential, meaning that they must be sourced from our diet. The other important amino acids for healthy hair growth can be synthesised by the body, although they may be in low concentrations if nutrition is poor. In addition to helping to produce keratin, this is a very important amino acid for enhancing immune function, helping to minimize disease-related hair loss. Research has also shown that this amino acid can help to shield the hair from the damaging effects of hair colouring and bleaching2. 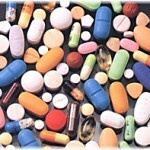 Arginine is also essential for the production of nitric oxide (NO). This compound is vital for improving blood circulation and nutrient supply to the hair follicles, facilitating healthy hair growth. Although not an essential amino acid, there are times when arginine becomes conditionally essential. When the body is stressed, such as recovering from an illness or insufficient nutrition, the demands for arginine increase and the body can’t produce enough. Elevating arginine concentrations through diet can help to treat hair loss, especially if it’s a symptom of an underlying health issue. Good food sources for arginine include dairy, fish, beef, poultry, oatmeal, sesame seeds, chick peas, soybeans, granola, pumpkin seeds, sunflower seeds and nuts. Approximately a quarter of keratin is made from this amino acid. Several studies have confirmed that cysteine supplementation can reduce the symptoms of androgenic alopecia3. This is also a vital amino acid in the production of the powerful antioxidant glutathione. Thus, cysteine indirectly assists with the protection of hair follicles from oxidative stress. Similar to arginine, the body manufactures its own cysteine. However, including cysteine rich foods in your diet will ensure that there’s no deficiency in this important amino acid. Ideal food sources include poultry, pork, dairy, legumes, broccoli and whole grains. The second major component of keratin is methionine. This amino acid is also vital for the synthesis of the precursor to collagen called procollagen. As antioxidant, methionine also helps to protect the hair follicles from oxidative stress. Research has shown that low concentrations of methionine cause a decline in hair health and growth diminishes4. Other studies suggest that this amino acid could also have an important role in slowing the greying of hair, as well as hair thinning5. Since the body is unable to produce this essential amino acid, you must include food rich in methionine in your diet. Good food choices for methionine include fish, eggs, seeds, leafy greens, broccoli, zucchini, squash and nuts. Ideal food sources for lysine include fish (especially salmon, sardines and cod), dairy products, poultry, red meat, pork, legumes, nuts, spirulina and pulses. One of the smallest and commonest amino acids, glycine is very important for the digestive and central nervous systems. It also helps to produce collagen. The body can manufacture this amino acid and it can also be sourced from protein-rich foods such as fish, meat, dairy, soybeans, spinach, cabbage, beans, kale, banana and kiwi fruit. This non-essential amino acid helps to produce collagen and cartilage, as well as maintaining muscle tissues. The best food sources for proline include meat, dairy, eggs, asparagus, avocado, beans, broccoli, spinach, legume and soy beans. In addition to the amino acids mentioned, there are also a range of vitamins, minerals, trace elements and other natural compounds that are important for preventing hair loss. Vitamins E, B6, B12 and folic acid are needed to support healthy hair follicles by promoting good blood circulation and the delivery of vital nourishment. Vitamin A is necessary to support the production of sebum, the oily substance that lubricates the hair follicles. Vitamin C is essential for collagen synthesis and maintaining strong hair. Iron, silica and zinc are also required for hair growth and protection. Essential fatty acids are important for many aspects of our health, including safeguarding against hair loss. They help to increase hair follicle nutrient absorption, enhance immune function and reduce oxidative stress. Omega-3 fatty acids are important for cell growth and blood circulation, supporting healthy hair follicles. Insufficient fatty acids can result in dry and brittle hair, dandruff and other skin aliments of the scalp. Studies have confirmed that deficiencies in essential fatty acids lead to hair loss. Hair thinning and baldness are common conditions and although more prevalent in older generations, hair loss can be triggered at anytime throughout our life. Genetics has a major role in our susceptibility to hair loss. Oxidative stress is also problematic, causing cellular damage that can trigger hair loss. Hormone fluctuations can increase androgens, further contributing to hair loss. Despite these factors and other common hair loss triggers, there are steps we can take to slow down the process and retain good hair coverage. Elevating the concentration of important amino acids, vitamins, minerals, trace elements and other compounds that are necessary to support hair growth, maintenance and protection will help to minimize hair loss. Diets rich methionine, cysteine and arginine can minimize oxidative stress, help to balance hormones, and slow the aging process. By maintaining a well-balanced diet and eating protein-rich foods, hair thinning and hair loss can be reduced. If you’re concerned that your diet is lacking, consider taking a high quality dietary supplement. This will not only promote healthy hair, it will also support overall health and well-being. Enzymes are the key components of your body's worker bees within your cells . Chemical reactions are created to allow them to break down existing materials or create new ones. They also serve as the catalyst for cell growth, renewal, and slowed down aging! Along with helping to clean the toxic sludge in your system that can dull your complexion, remove pigment from or thin your hair, contribute to acne, and lead to premature lines and wrinkles, enzymes also control the release rate of adenosine triphosphate (ATP), which provides energy to every cell in your body. Since your body utilizes this energy for cell repair to keep your skin glowing, your hair growing, and your cells regenerated, the absence of enzymes can disrupt delivery of this all-important, life-sustaining energy. Made from amino acids put together in very specific structures, enzymes are proteins that serve as catalysts to quickly bring about specific chemical reactions in your body's cells. Enzymes serve to cause certain cell actions, and to speed up others. There are more than 3,000 types of enzymes in the human body, playing key roles in more than 4,000 biochemical reactions. Enzymes are important for digestion, metabolism, respiration, nutrient absorption and transportation, detoxification and purification, muscle movement, hormone production, cell repair, cell division, and many other bodily processes. Once an enzyme does its job in the body, it is destroyed and must be replaced by new enzymes in order to maintain the body's processes. Proper nutrition is important for all your body's functions. The ability to properly digest your food is critical for proper nutrition and to avoid getting toxic. Why are enzymes important for your beauty? What goes on in real life is that most of the enzymes we need to digest the food we eat are naturally present in the food. This occurs because enzymes are what a fruit or vegetable uses to ripen. As the ripening process continues, the food digests to where we consider it to be rotten. From the perspective of an apple or grain, for example, this is a perfect stage for the seed to use its food source so it can grow into an adult plant. These same plant enzymes also work in the acid environment of your stomach (where approximately 40 percent of digestion can take place) while animal enzymes can’t work until after they get past the stomach. Many decades ago, food processor companies realized that they could prolong the shelf life of food from days to years by destroying the enzymes present in the food. They also discovered that using salicylates (the active component of aspirin) is a very effective way to destroy enzymes. Because of this, most of the enzymes present in processed foods have been eliminated over the last 30 plus years. This corresponds to the period of time in which we have seen a dramatic increase in degenerative diseases and indigestion. Meanwhile, your poor pancreas has had to pick up the slack and make almost all the enzymes needed for digestion. Many people realized however that if they juiced or ate a raw food diet (cooking can also destroy enzymes) they felt dramatically better. Food processing companies are learning new tricks. 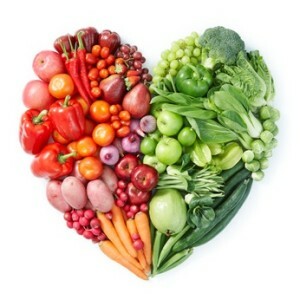 By gassing fresh fruits and vegetables, they can destroy the enzymes present even in these fresh foods. This way they can look appealing on the grocery shelf for weeks instead of developing those little brown spots that we don't like to see. Unfortunately, although the food looks good, it has lost much of its nutritional value. By eating excessive amounts of the nutrient you can’t digest, it can build up in your colon and become toxic. Your body works poorly because of the nutritional deficiencies. You feel poorly and have digestive disturbances. All in all, you feel lousy, the stomach hurts, and you may have specific food cravings. Sound familiar? Does it matter which enzymes I use? YES! It benefits your health and beauty to maximize your enzyme intake. By doing so, you will discover you have more energy, digest your foods much more easily, and look and feel better than you have in years.